How can I find out what motherboard is in my computer? I want to find out the exact model of my computer's motherboard so that I can see what sort of memory chip, graphics cards and other components it supports. This will provide you with the maker of the motherboard, model number, and serial number. CPU-Z can identifiy mainboards, among other components. I think that should do it. Belarc Advisor will tell you what type of motherboard you have. This command will tell you the system motherboard (that happen to be the name) and its UUID. This will tells you the name if your BIOS, current version and its serial number if there is any. Technet has a useful reference for WMIC commands. If you have a desktop system that was built from parts: Open the case. The motherboard brand and model number is printed on it. If you have a laptop, or purchased a desktop from a OEM such as Dell: there's not really a motherboard model on the thing, you're going to have to go with the computer's model number. 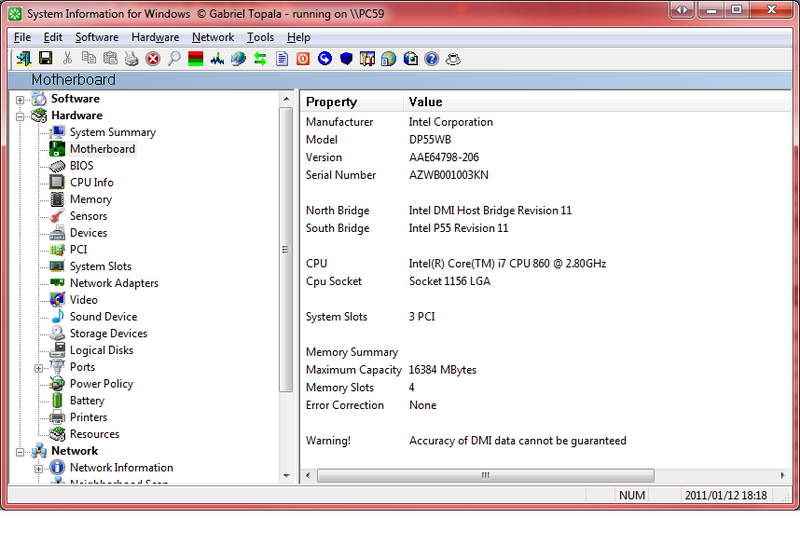 CPU-Z works too, has a 64 bit version. The motherboard itself must comply with a standard called DMI. This provides information such as the motherboard model, BIOS version, the number of RAM sticks, their capacity and speed, and basically anything else that is related to your motherboard. There are two popular programs that can retrieve this information. CPU-Z and dmidecode. While CPU-Z is a user-friendly alternative, dmidecode has the advantage of being a nice, clean tool that works on practically all operating systems. Name should be the serial # of your motherboard and IdentifyingNumber is probably blank, but it might be an additional sub-serial #. Many non-OEM / independent manufacturers (e.g. ASUS) will display the motherboard model number at boot time. Not the answer you're looking for? Browse other questions tagged windows-7 motherboard or ask your own question. 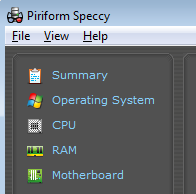 How to obtain your motherboard specs via software? Is there any way to find out the motherboard for my dell e6420 without opening the machine? How to find the RAM type in command prompt? Why does my computer beep when I turn it on? What are these beep codes? All of my PC's software CDs are lost. Should I be concerned? How much maximum Ram I can have per slot? How do I tell what motherboard I have? How do I find compatible motherboard for my computer? 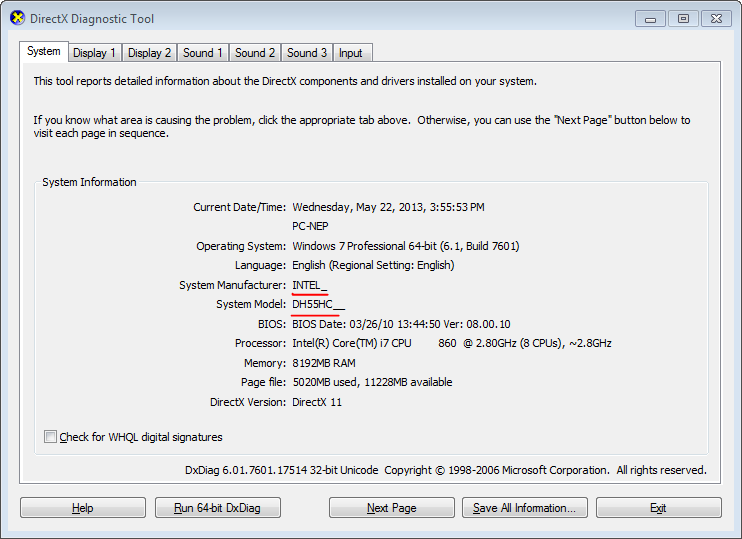 Can I change just my motherboard with windows 7 oem and the os still work? How much ram can Install on my PQ5 PRO Motherboard? How to check actual onboard graphics memory of a motherboard? Can overheated graphics card damage other PC components on motherboard?